With amazing sunshine, gorgeous views of the French Pyrenees and great high-altitude runs, Font Romeu has a glowing reputation as one of France’s most exciting and picturesque resorts. Set in the beautiful Catalan Pyrenees, nestled between France and Spain, the area enjoys extraordinary snow coverage, fantastic customer service and a lively apres ski. The routes here are ideal for beginners and intermediates, while a cross-country area is on-site, covering 111km of trails winding through stunning forestry. Experts won’t be left out here either, with a range of challenging runs for those with more experience. The snow season here runs from December to April and snow coverage is generally reliable. Snow cannons also provide artificial powder on many of the routes, ensuring excellent conditions. Due to the amazing variety of runs, visitors can spend days on the slopes here. 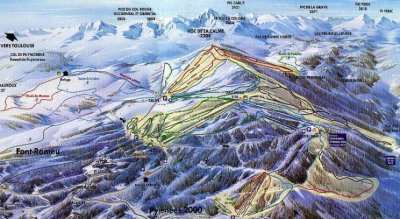 There are 41 overall, covering 43km of piste and providing some unbelievable views of the Pyrenees region. It’s a particularly great place to learn, enabling travellers to gradually work their way up the area’s learning curve and develop their skills. For people looking for something a little different, there is an excellent terrain park at the resort, providing amazing facilities for snowboarders regardless of whether you’re a beginner or a pro. Font Romeu really shines when it comes to resort activities. There is an incredible amount of different attractions to choose from, including mountain biking, helicopter rides, dog sledding and heli-skiing. It doesn’t end there, either. Away from the slopes, there is a bowling alley, zoo, casino and cinema. There are also the St Thomas and Llo spas, where tourists can relax in style after a day on the snow. When it comes to dining, La Chaumiere is one of the top restaurants in the area, with a stunning assortment of French dishes available. 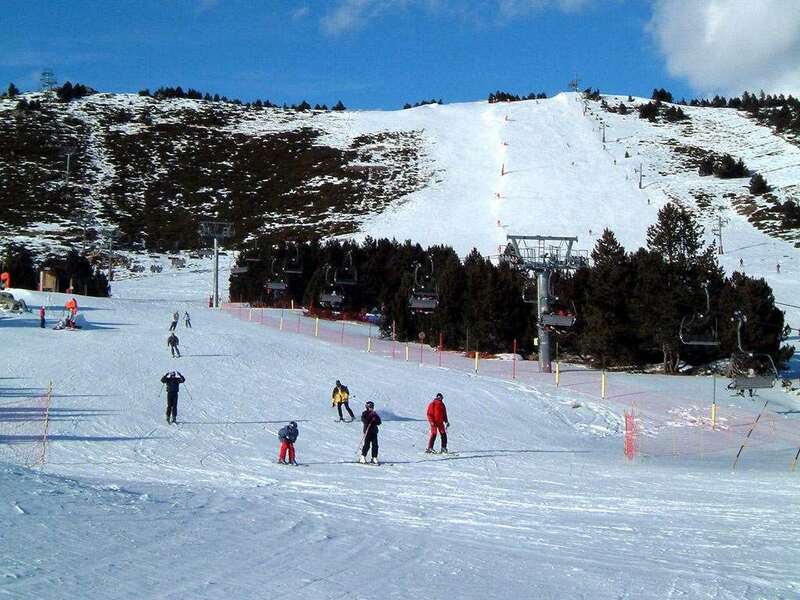 Skiers can fly into Barcelona or Toulouse when travelling on to Font Romeu, both are around 4 hours transfer.